On behalf of our entire family, welcome, and thank you for visiting the Huehns Funeral Home, Inc. & Door County Crematory LLC website. Our funeral home and crematory are both family-owned and operated, with our funeral home providing care for Door County and northeastern Wisconsin families since the establishment of Hahn Funeral Home in 1884 and our crematory now offering on-site cremation, right here in Door County. We are very proud and privileged to be operating in our family's fifth continuing generation of funeral directors with the return of Erik and Brock Huehns. Each life is special and unique. We strive to provide families with services that honor, remember, and celebrate life. As a full-service funeral home, we will provide your family with personalized services that meet and surpass your family's needs and expectations. From a full traditional funeral service, to the most unique memorial service or celebration of life, to basic direct cremation, anatomical donations, long distance transfers or helping return a loved one to their family cemetery, we are prepared to assist families from every walk of life create a unique ceremony that reflects a life well-lived. 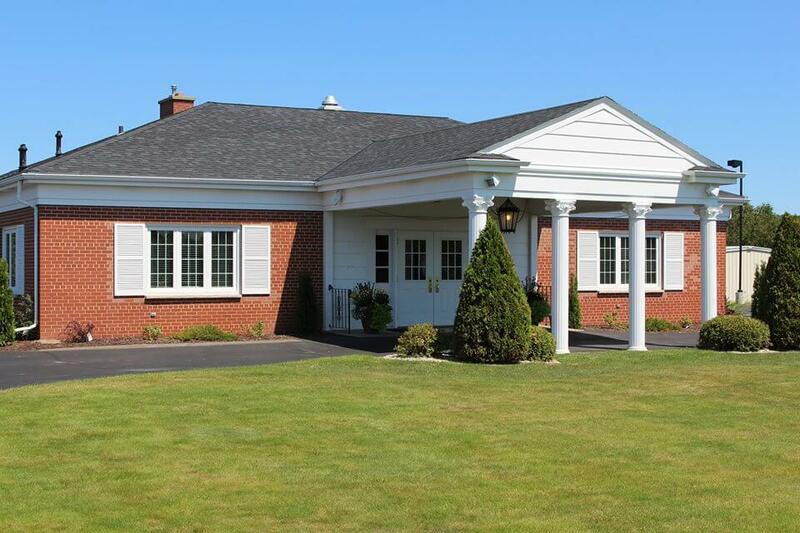 Cremation is provided on-site at Door County Crematory LLC. Our family promises to care for your family as our own with a level of compassion and an attention to detail that are second to none. You can always expect such services from us, regardless of the amount expended. Dignity, Quality, Compassion, and Care...Our family caring for yours. Huehns Funeral Home offers families the largest and most-spacious life tribute funeral facility in all of Door County, with the availability of up to three elegantly-decorated, full-size chapels (the largest and most chapels in all of Door County) for families who may not have a church affiliation or simply prefer to have their services held at our facility. Our family takes great pride in the modifications we've made to our facility over the years. To learn more about our beautiful facility and all of the accommodations available to your family, click the "Our Facilities" link under the "About Us" tab. Again, thank you for taking the time to visit our site. We encourage you to familiarize yourself with our site, and use it as a resource to learn more about our family funeral and cremation service. For those of you on Facebook, you can visit our page on there as well - "Huehns Funeral Home, Inc. & Door County Crematory LLC." By "Liking" our Facebook page, you can receive obituaries as they are published, take a virtual photo tour of our facility, and find out about events going on in Door County. 4th Generation Funeral Director & OWNER of HUEHNS FUNERAL HOME, INC. Expressions of sympathy (florals/plants) from local florists may be ordered for any service. Begin the planning process from the comfort of your home or mobile device. Answers to some "common" questions relating to care when someone passes away. We love being a part of your community and encourage you to connect with us. When you place an order, all of the service details are shared directly with the florists for you.